Green Toys School Bus Just $11.02! Down From $19.60! You are here: Home / Great Deals / Amazon Deals / Green Toys School Bus Just $11.02! Down From $19.60! Amazon is currently offering this Green Toys School Bus for just $11.02 down from $19.60 PLUS FREE shipping with Amazon Prime or for orders over $25! 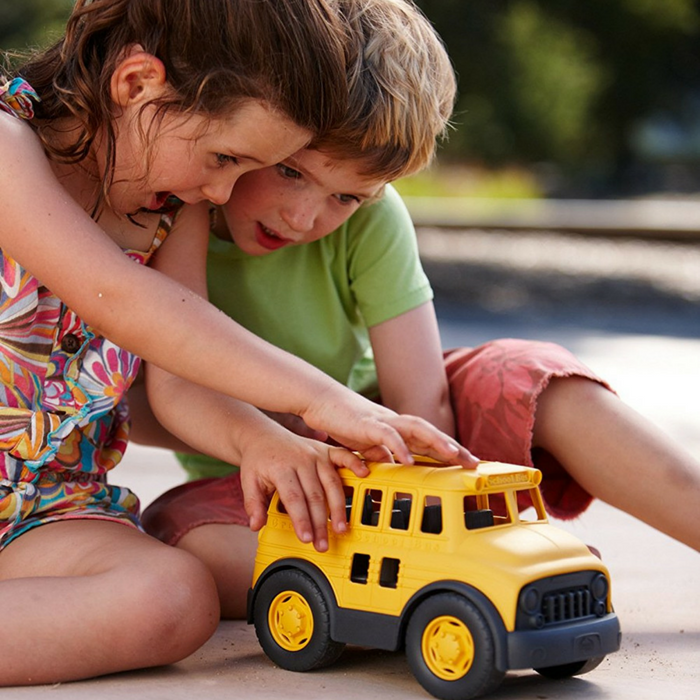 School’s in session with the planet’s favorite new kid in class – the Green Toys School Bus. Made in the USA from 100% recycled plastic milk containers that save energy and reduce greenhouse gas emissions, this sturdy bus is ready to be loaded up for a ride to the classroom, a field trip or whatever excursion little scholars see fit. The Green Toys School Bus goes to the head of the class for safety, with no metal axels or external coatings. No BPA, PVC or phthalates. Packaged using only recycled and recyclable materials. It’s a great gift item for Christmas! School’s in session with the planet’s favorite new kid in class. Made in the USA from 100% recycled plastic milk containers that save energy and reduce greenhouse gas emissions. This sturdy bus is ready to be loaded up for a ride to the classroom, a field trip or whatever excursion little scholars see fit.